Cub Scout Pack 704 is based at Kenneth W. Culbert Elementary School in Western Loudoun County. We were established in September of 2009. We take pride in providing a rich and rewarding Cub Scout experience for elementary school age boys. We are proudly chartered by Harmony United Methodist Church in Hamilton, Virginia. Our Pack meets on the Forth Tuesday of the month at Harmony United Methodist Church or Kenneth W. Culbert Elementary School. Pack 704 is led by Cubmaster John White. John is friendly and outgoing and has been involved in scouting for many years. We think he is a wonderful person and an outstanding role model for our scouts and their families! Our Pack currently has 20 scouts. Our Dens meet about 2 or 3 times per month and have about 7-10 boys in each. 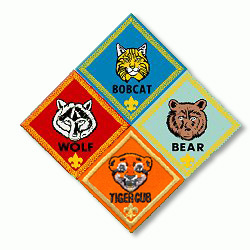 Pack 704 offers Cub Scouting to boys in 1st-5th grades (ages 6-11) organized into dens by grade level. Pack 704 supports the community through participation in the Scouting for Food drive where we collect and deliver food to Loudoun Interfaith Relief which provides food to needy families in Loudoun County. We also participate in various other community service projects. Through this community service, Cub Scouts learn firsthand what it takes to become better citizens and involved community members. The Pack strives to offer all scouts and their parents the opportunity to work, learn, and grow together in a family friendly environment. 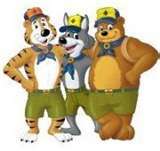 To insure this, the Cub Scout Leaders are trained and adhere to the Safe Scouting Policy of the Boy Scouts of America. This training includes education in conducting age appropriate activities, safety guidelines, and child protection.